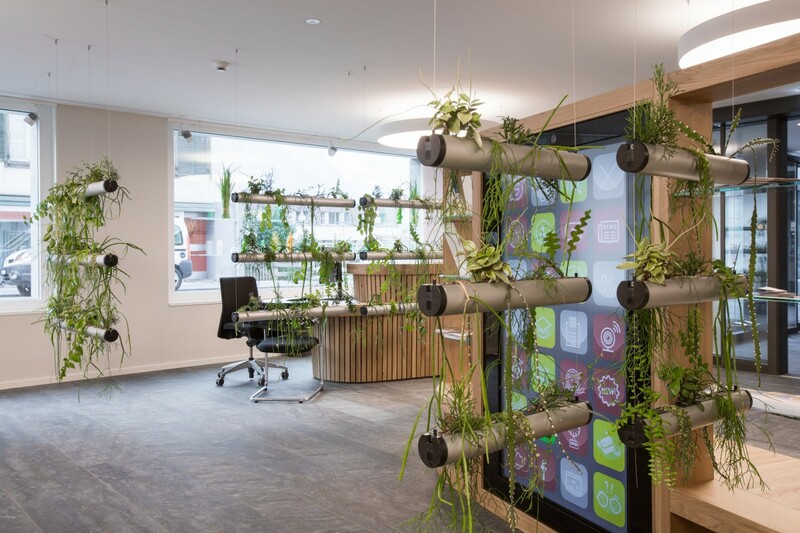 The project was designed by architects JAGGI FREI BRÜGGER for the customer center of a regional bank. 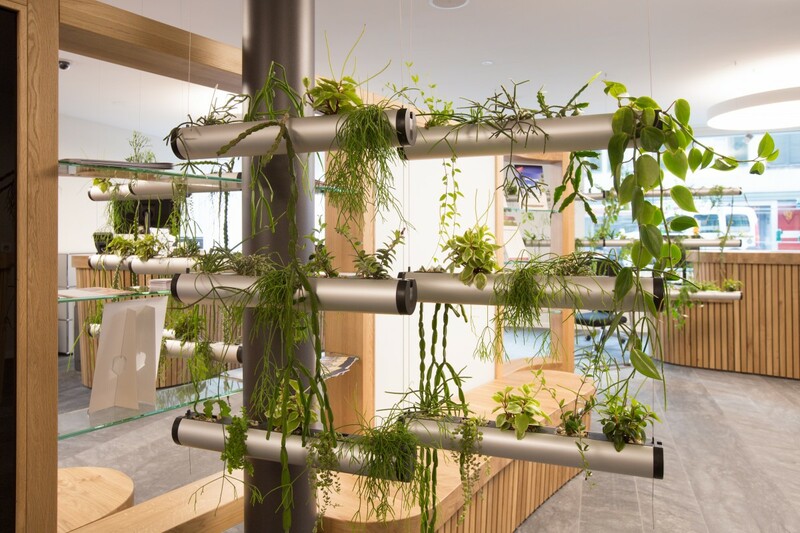 The plants installation has two functions. On one hand, they are a concise element of the interior architecture; on the other hand, they should screen the individual customer switches as living, half-transparent curtains. With the innovative modular Pendularis system, a solution was found that met both requirements. 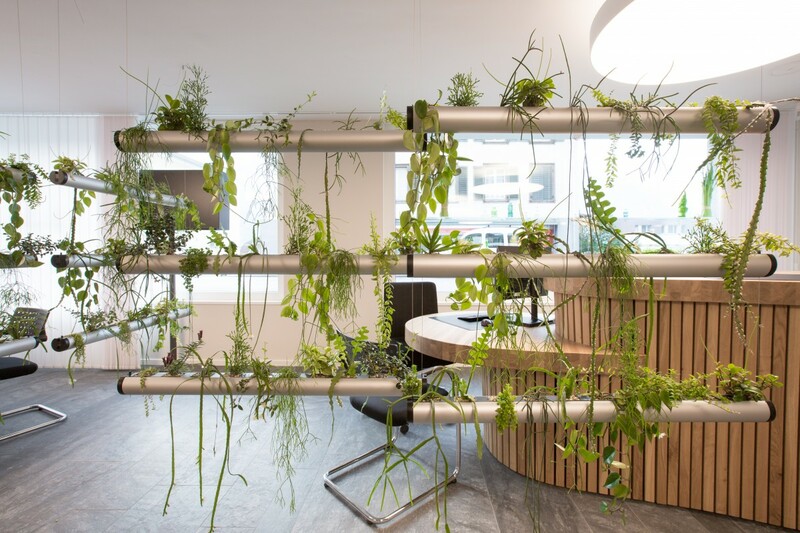 The tubular aluminum plant holder, suspended to fine steel ropes, makes the plants appear to float in the room. A major challenge was the attachment of the suspension device to the specially coated acoustic ceiling. The varied mix of succulent plant species is very easy to maintain. The installation must only be watered manually at intervals of tree weeks.